Now that the rail tunnels are complete, work is underway in fitting out the stations, and track is already being laid. The central section of the line, which runs from Paddington to Abbey Wood, is due to open in December 2018. Perhaps the most remarkable thing of all – and something that Crossrail’s workers speak of with great pride – is the fact that Europe’s biggest construction project has been taking place right beneath the feet of millions of Londoners, and many are not even aware of its existence. This is testament to how smoothly the tunnelling has progressed, and the level of detail and planning that has accompanied it. Linda Miller, a project manager now overseeing work on one of Crossrail’s main hubs at Farringdon, speaks with genuine enthusiasm about such a massive undertaking going below the radar of so many people. It’s an achievement she attributes to a combination of factors, not least the investment in the eight giant tunnel boring machines (TBMs) which have gradually snaked their way under London for the past three years, often within inches of existing tunnels and sewers in the city’s crowded subterranean network. The TBMs cost in the region of £10m each, but by all accounts have been a worthwhile investment. 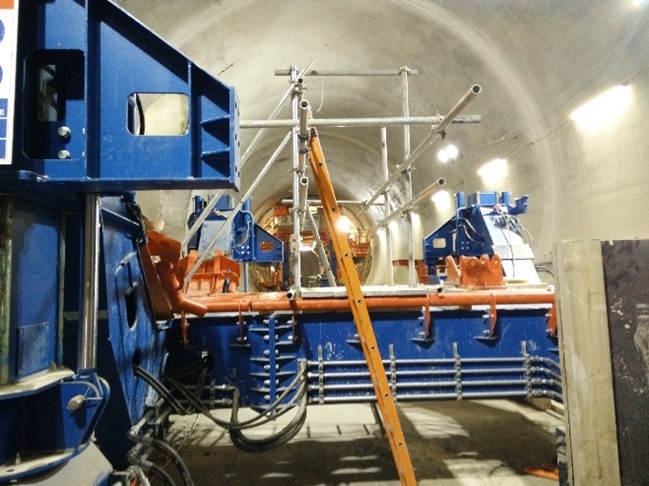 Using terabytes of data gathered around the clock from sensors across key locations in the city – all crunched through a bespoke software system – Crossrail engineers have been able to guide the TBMs with extreme precision, constantly monitoring for problems in the surrounding earth and nearby infrastructure. According to Miller, another key factor has been the investment in people. 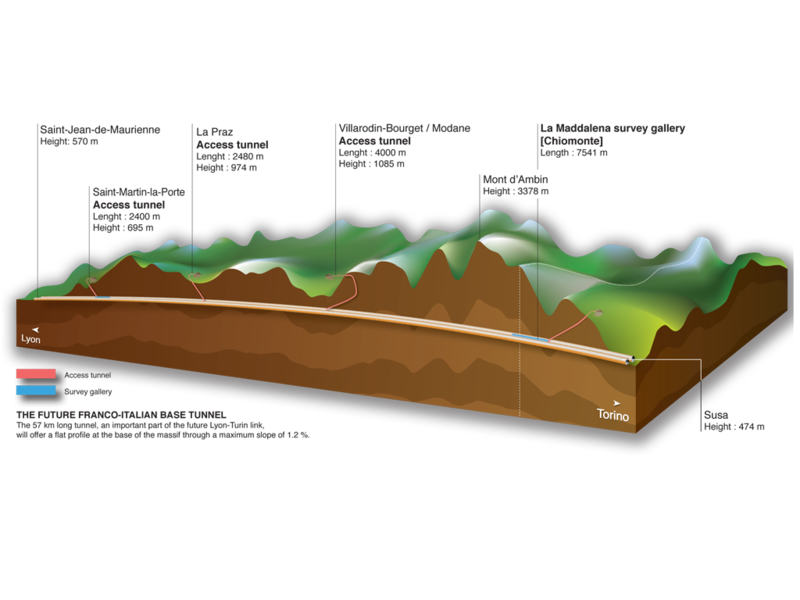 Learning from previous tunnelling projects where the right expertise has not always been present at the tunnel face, Crossrail invested in ensuring geo-technical engineers were on site continuously. “Crossrail took that up and said, ‘you know what, this is gong to be expensive, but we’re actually going to get very highly qualified educated people, we’re going to pay for them to stand at the face of the tunnel and be on the construction site teams 24 hours a day, seven days a week, nights, weekends, Sundays’,” Miller explains. 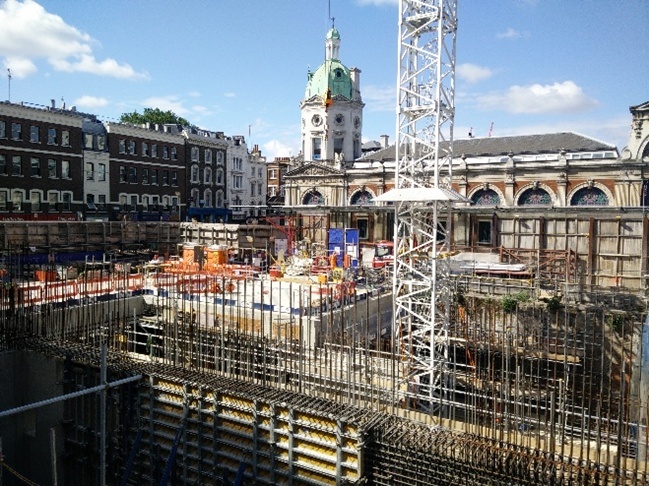 The construction site where the east ticket hall will be located, with Smithfield Market in the background. The result has been a project that has so far come in on time and on budget, with barely a negative mention in the mainstream press. This is something that can’t always be said of marquee UK construction, with the Wembley redevelopment and Heathrow extensions recent examples of projects where things have not run quite so smoothly. So what now of the eight TBMs that have been so integral to Crossrail’s success so far? Their mission now complete, most have already been disassembled, to be reused on other projects or sold on. At Farringdon, we were brought down to see TBM Elizabeth, which alongside TBM Victoria was responsible for the longest stretch of tunnelling – the 8.3km drive from Limmo Peninsula, near Canning Town, to Farringdon. After making the final breakthrough in May, most of Elizabeth has already been removed. The 150m long body of the TBM is being recovered piece by piece, ferried back along the tunnel and brought to the surface at Stepney Green. Meanwhile, the 7.1m diameter cutting head is currently being broken up into manageable one to two ton pieces, and removed via the site at Farringdon. The only thing that might be left behind is the can, the large outer cylinder of metal that houses the TBM. Mears tells me that there are even provisional plans to recover that via another tunnel, but that a final decision has yet to be made. In the meantime Mears, Miller and the rest of the Crossrail team are continuing their work, buoyed by the success to date, and excited by the challenges to come. “I’ve been in construction on great big projects for 25 years, and I’ve never had as much fun, and loved it as much as I’ve loved this job,” says Miller.